A few days back, when I told my friend that having no girlfriend in college and having no girlfriend in school are two independent events, I was told that I am being Naive. 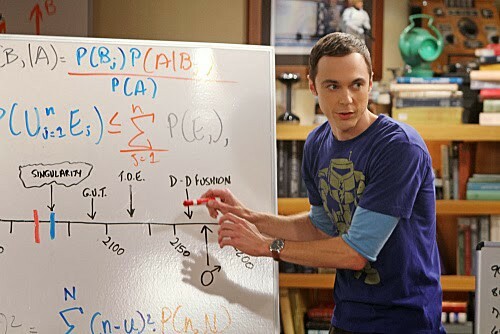 The same happened to Naive Bayes Algorithm when it assumed that all the features are independent of each other. As celebrated as it could be! So, with the 9th blog in our 12A12D series, we explore the genius of this algorithm. Collection of classification algorithms based on Bayes Theorem. This gives us the chance that something will happen given that something else has already happened. Conceptually, this is the way to go from P(Evidence|known Outcome) to P(Outcome|known Evidence). Often, we know how frequently some particular evidence is observed, given a known outcome. We have to use this known fact to compute the reverse, i.e. to compute the chance of that outcome happening given the evidence. Eg. Consider a population where a disease D has broken out. The municipality in order to test the disease uses a machine which gives a positive output with some probability given the person has disease. Is it Mathematical? You bet. So far we have talked about only a single piece of evidence. However, in real life situations there are multiple pieces of evidence that confirm the occurrence or nonoccurrence of an event. Mathematics tends to get complicated as these are often correlated to each other. Quite intuitively, one such approach is to ‘uncouple’ multiple pieces of evidence, and treat each piece of evidence as independent. Hence, the name! As indicated, the objects can be classified as either GREEN or RED. Our task is to classify new cases as they arrive, i.e., decide to which class label they belong, based on the currently existing objects. Since there are twice as many GREEN objects as RED, it is reasonable to believe that a new case (which hasn't been observed yet) is twice as likely to have membership GREEN rather than RED. In the Bayesian analysis, this belief is known as the prior probability. Prior probabilities are based on previous experience. In this case, the percentage of GREEN and RED objects, are often used to predict outcomes before they actually happen. Having formulated our prior probability, we are now ready to classify a new object (WHITE circle in the diagram below). Since the objects are well clustered, it is reasonable to assume that the more GREEN (or RED) objects in the vicinity of X, the more likely that the new cases belong to that particular color. Although the prior probabilities indicate that X may belong to GREEN (given that there are twice as many GREEN compared to RED) the likelihood indicates otherwise; that the class membership of Xis RED (given that there are more RED objects in the vicinity of X than GREEN). 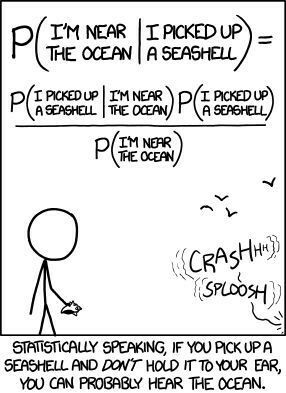 In the Bayesian analysis, the final classification is produced by combining both sources of information, i.e., the prior and the likelihood, to form a posterior probability using the so-called Bayes' rule. Finally, we classify X as RED since its class membership achieves the largest posterior probability. One of the basic ones, this algorithm is most researched upon. Let’s see if people actually use it in 2017! Easy and fast to predict class of test data set. Also, performs well in multi-class prediction. When assumption of independence holds, a Naive Bayes classifier performs better compare to other models like logistic regression and you need less training data. It perform well in case of categorical input variables compared to numerical variable(s). For numerical variable, normal distribution is assumed (bell curve, which is a strong assumption). Zero Frequency: If categorical variable has a category (in test data set), which was not observed in training data set, then model will assign a zero probability and will be unable to make a prediction. To solve this, we can use the smoothing technique. One of the simplest smoothing techniques is called Laplace estimation. 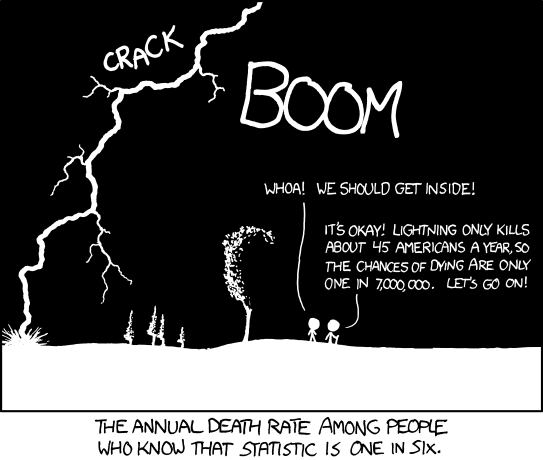 Bad estimator: Probability outputs from predict_proba are not to be taken too seriously. Assumption of independent predictors: In real life, it is almost impossible that we get a set of predictors which are completely independent. ^This has been implemented from scratch. You can obviously use SKL. Used in spam filtering or document classification, it is widely known to all data scientists. You are one of them now! Coming tomorrow, 12A12D shall cover Regression techniques. Be ready.